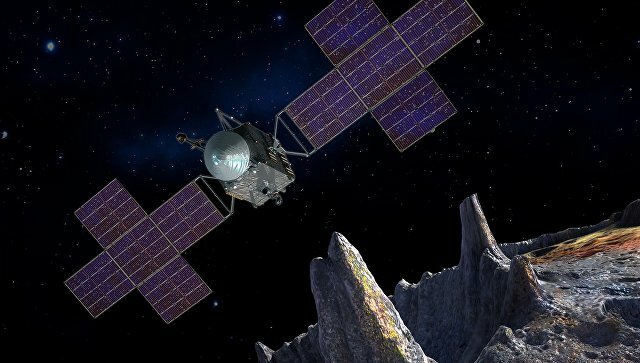 Mission Psyche, approved by NASA earlier this year, will travel to the asteroid Psyche in the summer of 2022, not in 2023, and will arrive to it four years ahead of schedule, the NASA Jet Propulsion Laboratory reports. “We asked the scientific probe team to think about whether the earlier launch date of the probe would allow us to reach a more efficient flight path to Psyche and they managed to find a very good option.This will allow us to realize the scientific tasks of the mission faster and spend less money on it” , – said Jim Green (Jim Green), the head of NASA’s planetary department. The Discovery program was created by NASA in the early 1990s specifically to create missions designed to maximize scientific impact and minimize costs. In its framework, 12 interplanetary probes, landers and telescopes were created, ten of which successfully completed the tasks assigned to them, one was lost, and the last one – the InSight landing module – would be sent to Mars with a two-year delay. Within its framework, NASA experts select one to two missions every four years, for which a fixed amount is allocated – about 450 million US dollars. In September of this year, the results of the contest were summed up, in which two “asteroids” missions – Lucy and Psyche – relatively unexpectedly won. The first project is led by the famous planetologist Hal Levinson (Hal Levinson), and the second by the geologist Lindy Elkins-Tanton (Lindy Elkins-Tanton). The first probe will study the so-called “Trojan asteroids” – small celestial bodies that “accompany” Jupiter, moving either in front of, or behind it in its orbit at points L4 and L5, where the attraction of the planet and the Sun are balanced. The second spacecraft Psyche will study the eponymous asteroid – (16) Psyche, located inside the main belt of asteroids between the orbits of the Earth and Mars. This asteroid is considered a fragment of the core of the protoplanet, the only such object in the vicinity of the Earth and Mars, and its study will help us understand how the planets were formed and what role in their birth was played by clashes between similar “embryos”. Initially, NASA planers planned to launch Psyche in 2023, but the first calculations of the trajectory of its flight to the asteroid showed that the travel time can be reduced by almost half and get rid of a number of complex gravitational maneuvers if sent to space one year ahead of schedule. In addition, a similar shift will allow NASA to abandon the use of thermal shields to protect Psyche from the heat of the Sun, which will reduce the cost of the design of the spacecraft itself. “We are all very pleased that NASA supported our initiative and shifted the launch date to an earlier date, so the whole world will see this amazing metal world much sooner than we expected,” concludes Elkins-Tanton.